We can supply and fit commercial locks to the exterior of your business property or have a master suite system built to your specific needs, whatever they may be. If your premises are not secure. Key cutting pick-up service available for ten keys or more. If you don't know who still has a key to your premises. If you need to reset the combination of your digital locks. If you have a problem with locked or jammed filing cabinets, desks or office. If you need to replace or repair any of the locks in your premises. If you need to replace or install a digital access system. Locksmart your independent local mobile Locksmith can help by opening locks or supplying and fitting replacement locks and keys for all types of businesses and commercial premises. We can also undertake a survey of your property and advise on its security and any improvements that could be made. Locksmart your local independent mobile Locksmith will check that all the new keys fit properly before leaving so that you can be sure your new keys work straight away. 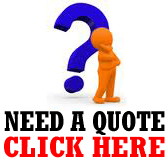 All work is professionally undertaken and is fully guaranteed. Locksmart's advanced knowledge base and experience in the Commercial & Industrial sector allows us to be your number one choice when choosing your Security Service Provider. Locksmart your independent local locksmith can provide security solutions for businesses and commercial properties.